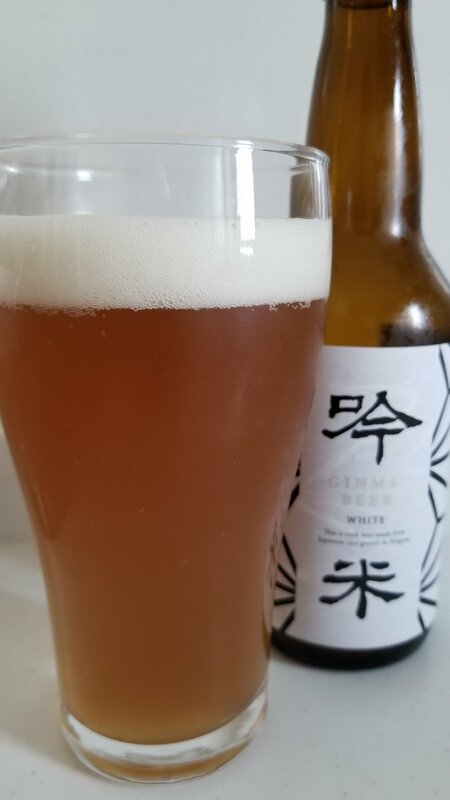 Ginmai White is a 5% Belgian witbier from Tainai Kogen Beer, based in Tainai city, in Niigata, Japan. It’s part of their Ginmai Beer line up that uses locally sourced koshihikari rice from the Niigata area, which is also the same kind used by the sake manufacturers in Niigata. DO NOT ADJUST YOUR SCREEN! That is honestly how this witbier turned out – a murky orangey brown colour with a plump white head on top – not really looking too appetizing, is it? The aroma coming off of Ginmai White was a peculiar buttery, sour, sake rice aroma, with an ever-so-slight orange aroma. Except, I really couldn’t get over those peculiar off-flavours – Ginmai White was well within its best before date and had been stored properly too. The body was just the same as the aroma – an amalgamation of peculiar flavours that really did not sit right at all. And Ginmai White only got worse as it warmed up, to such a point that it joined the prestiguous Drain Club. Ginmai White was horrendous. Maybe it was a bottling issue. Maybe a brewing issues but I wouldn’t wish this on anyone.